Vetter is a leading solution provider of prefilled drug-delivery systems and a specialist for a wide range of packaging solutions. In addition to labelling, blister packing, cartoning as well as serialisation, the company offers its customers further technically sophisticated packaging solutions such as the assembly of pens, auto-injectors and safety devices. "Thanks to the modular use of manual, semi-automatic and fully automatic machines, we are able to individually package anything from small clinical to large commercial quantities and, therefore, react flexibly to changing customer structures and requirements," said Bernd Stauss, Senior Vice President Production and Engineering. 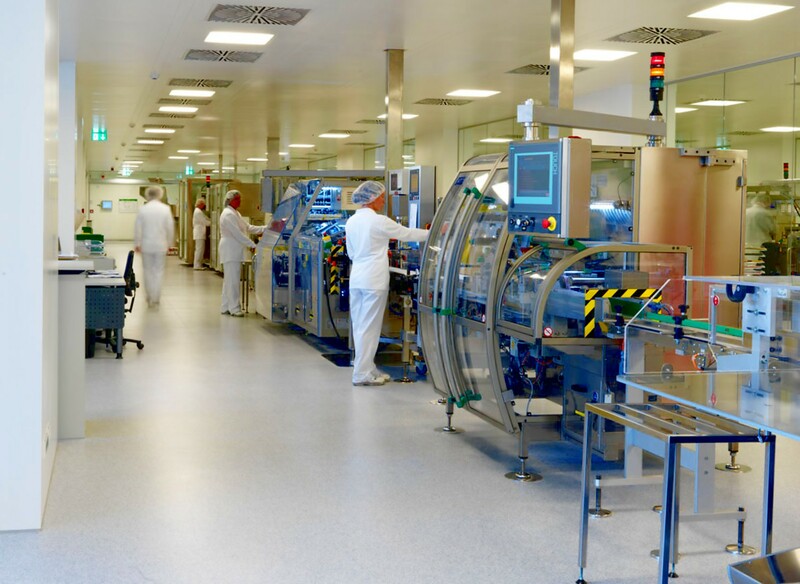 At the Ravensburg site, various syringes, cartridges and vials, some with highly complex requirements, are currently packed on sophisticated lines.In addition to the existing area of approximately 6,000m2, an additional 2,900m2 will be available in a new building by 2020, enabling continued flexible planning of secondary packaging well into the future. The extension also includes investments in modern testing and analysis methods. In addition to standard release and stability tests, e.g. syringes with a needle shield, the pharmaceutical service provider will be at the position to offer its customers even more extensive tests for autoinjectors beginning in March 2019. This development was achieved through the efforts of a team of specialised engineers that worked on the development of a testing machine, enabling application simulations and digital documentation on auto-injectors. Vetter is setting a new standard for testing machines for autoinjectors in the pharmaceutical industry.